Would it be a bad idea to run a nizpro low mount manifold without its heat shield over the top? with a exhaust manifold like that, under-bonnet temps are absolutely necessary to control, unless you want melted bits and pieces under the bonnet, so yes, I would run the heat shield. 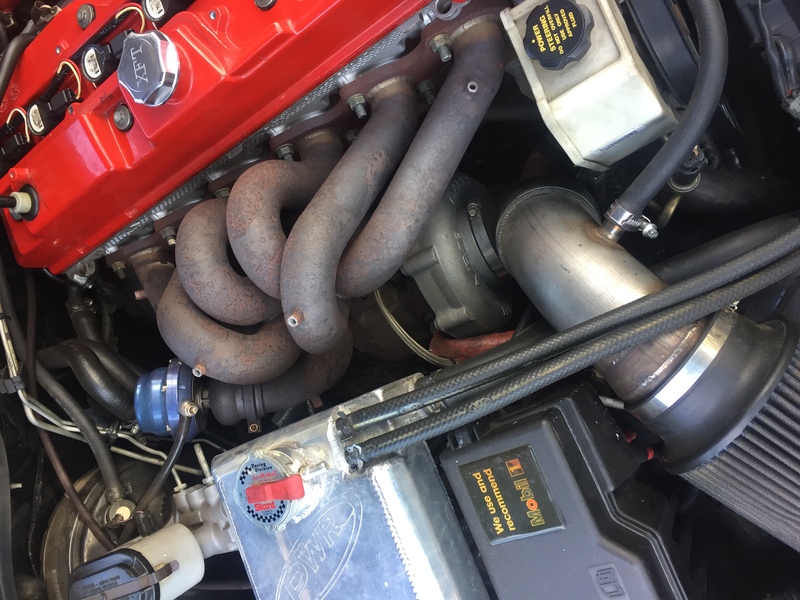 Would ceramic coating the manifold help? Or would it always need a proper heat shield in place? ceramic coating can help, but a heat shield will do a better job and allow for thermal expansion etc. Heat shield bro, do ceramic coating as well if you can handle the wait. I found it was a very small difference with just ceramic coating but it is a good method of rust prevention aswell. 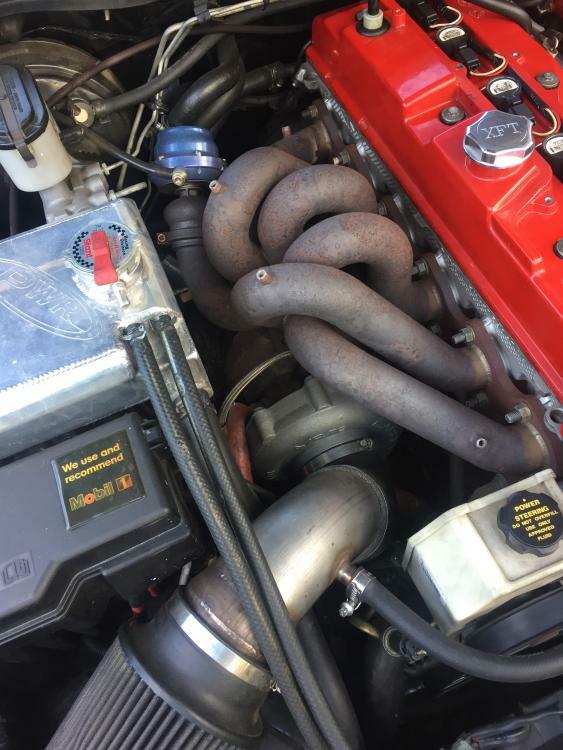 With my 6boost manifold I went with the fancy titanium heat wrap on top of the ceramic coating and it made the biggest difference. Mind you it still caused the paint fade on the bonnet where the manifold is. What turbo are you running there? Did the 3xhaust manifold make much of a difference? It’s a Garrett gt51r, it looks tiny in that pic but it isn’t really. Hard to compare it to a stock manifold but it would flow a heap more.